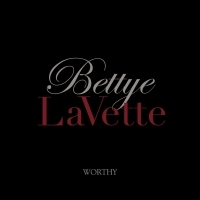 There are "secrets" and "best kept secrets" and had it not been for a fortuitous performance at a tiny San Francisco nightclub, Michigan-born Bettye LaVette might have remained in the latter category, save for a strong and loyal European following she began creating a few decades ago. That emotion-filled show some three years ago led to Bettye's signing to the Rosebud Agency, a slate of work within the U.S. and a new recording contract with - of all things - a label best known for its punk rock roster! 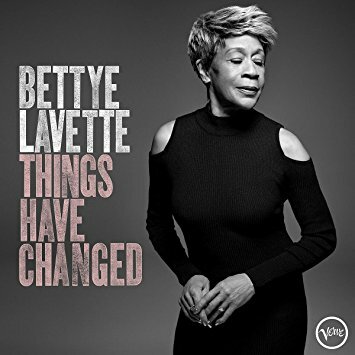 In fact, since the 2005 release of her Anti Records critically-acclaimed "I've Got My Own Hell To Raise" CD, Bettye LaVette has appeared on "The David Letterman Show," received glowing reviews from "The Wall Street Journal" and "The Los Angeles Times" among dozens of publications and toured virtually non-stop for over a year. As Bettye says, singing has been all she's ever done to earn a living and even when times were tough, she never gave up on her chosen profession and almost forty-five years after her first Atlantic charted single - 1962's "My Man - He's A Lovin' Man," Bettye LaVette is finally reaping the rewards for dues truly paid in full. First achieving local success as a teenager in Detroit, Bettye's initial national chart run in late '62 was followed by a stint on the road with the Don Gardner & Dee Dee Ford revue and a contract with Calla Records. It was at Calla that Bettye cut the deep soul classic "Let Me Down Easy," considered by many as one of the most emotional performances ever recorded, the single that began a longtime love affair with European R&B music lovers and for many years, the highpoint of her intense live performances. Bettye recorded for a number of other labels (including Silver Fox, SSS International and Epic) and enjoyed some measure of chart success: a brief return to Atlantic resulted in the album "Child Of The '70s," finally released - after years in the vaults - on a French label in 2001 and reissued in 2006 via Rhino Handmade. In 1982, Bettye scored a Top 40 R&B hit with "Right In The Middle (Of Falling In Love)" for Motown as well as appearing in the Broadway musical, "Bubblin' Brown Sugar." She spent the next two decades essentially performing in Europe, where she recorded a live album in 2000 and in 2003 album, "A Woman Like Me" garnered Bettye a W.C. Handy Award. In 2006 she was selected as a 2006 R&B Foundation Pioneer Awardee.